Perhaps the loss of a loved dog explains so much! The posts for the last two days have carried separate and very different stories of terrible cruelty to dogs, the second one involving terrible cruelty to a dog and a bull! As a tradition! Ouch!! Readers of this place know what they feel about dogs. It is felt deep within their hearts. Those feelings are poured out when, either from me or someone else, there’s a post lamenting the loss of their dog. Just as a tiny example of that love we all have for our dogs, here’s a response from Marina Kanavaki and, trust me, Marina is far from being alone in this regard. Oh, no, Paul!!! I’m so sorry my friend! It is hard to believe and not so long ago, Casey. I know words can’t take away the pain but you have my thoughts and I’m sending you both my love and hugs. So a recent essay published on The Conversation site is a must to share with you today. As usual, it is republished within the terms of The Conversation. Frank T. McAndrew, Cornelia H. Dudley Professor of Psychology, Knox College. Just let the messages of this essay reverberate around your heart. I’ll say no more! That’s absolutely fascinating. Great link Paul. I still grieve for Sweet Pippa after nearly two years. It takes years to get over the deaths of our dogs. Goodness knows how you and Jeannie are managing atm. Their understanding is just amazing. Of words, looks, gestures. And their patience and tolerance too. Why can’t we be more like them? Although I do wish they wouldn’t chase cats! You most perfectly encapsulate what motivates me to publish this blog and inspired me to write my book! Yes, our relationship to our canine counterpart is one of symbiotic proportions. We need each other, and are complete by that relationship of unconditional love and forgiveness. The telepathic communication and deep inner connection is the lasting bond which continues for all time. A unique relationship between us humans and an animal. Truly unique! I still feel sadness at the loss of my Abby & my Sophie. It was a very tough time coming on the heels of losing my Mother. Yes, grieving for a pet is comparable to grieving for a human. This was a wonderful article. Thank you, Susan. The article was a great find and, to my way of thinking, couldn’t have been a better follow-on to the previous two days. I just wrote an ode to my dog…. she is everything. Rebecca, please share your ode with everyone. I so echo your sentiments here Marina, Love is Limitless, and the love we feel for our four-legged family will last an eternity..
Paul a great article share.. and still sending you both my love..
Sue, a perfect mirror of what I felt upon reading Marina’s response. Thank you both. It’s just coming up to 6am. Jean and I have just woken up. Jean is about to go through to the kitchen and I have turned on my iPad and just read your comments. I will respond to each of them shortly but had to tell you that your precious words shared in this place have brought tears to my eyes. And that’s before I have read them out to Jeannie! I love this article. I’m just now going through a separation from my service dog that I was training. Turned out he lashes out at people and he won’t be able to get certified, after 3 months of day in and out training. If I didn’t need a service dog for my PTSD then I wouldn’t give him up. But thats not the case and now I have to give him up for adoption so I can find a different dog that will be more submissive. I love Tank so much! It feels like I’m putting my own flesh and blood up for adoption, it hurts so bad sometimes that I just curl up with him and hold him because I never wanted him to leave. Secondly, thank you sharing what must be an agonizing situation. Finally, do email the details of Tank plus a couple of pictures and I will run it as a post. So sorry to hear that about Tank. 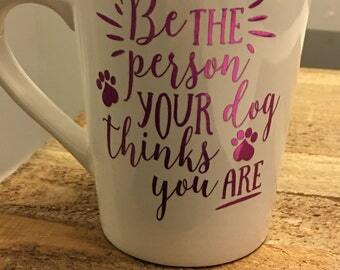 “May I become the kind of person that my dog thinks I already am” says it all. Something to aspire to for every person. I have carried my dogs ashes with me through several moves hoping to find my final home. I may actually spread them this year. I have her paw print and a lock of her hair. I send sympathy cards to friends who have lost a cherished pet. I don’t understand the mind or heart of people who don’t cherish their animals. I can’t be around them. This was a wonderful post on the subject. Your own special words encapsulate the reasons why the loss of a loved dog hurts so much. Thank you. She was originally my mother’s dog and she missed my mother always. Even though I had her 10 of her 11 years. Funny how that is. They remember. So beautifully written by a lovely and smart lady. Expressing the sentiments of many people. I loved the ode. I am republishing Rebecca’s ode tomorrow. Your blog posting really grabbed my attention. My own experiences with pet loss, especially dogs has effected the very fiber of my being. Last year losing my dog Ruby to a heart defect really blew me out of the water ….so to speak. It hurts to lose a pet before they grow old. For me, it hurts more because you get an extra loss of the time you didn’t get. Plus the added what if factor. …what if I had done this or that…..would I then get to keep my dog longer…. Losing a dog to me is harder in the sense I see them every day. What I do for the day revolves around that dog. It is how I am. As the years have gone on….I can honestly say I bond even more with each dog. I think with my training them it brings a closer level of friendship between the dog and I. I know that us the case with my current dog Annie. Training Annie has opened a whole different level of friendship with her and I. I think because I constantly communicate with her when we go for walks. 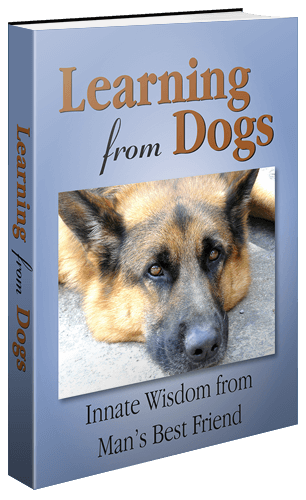 …something I did with my German Shepherds (the constant communication-they thrived and learned better that way when they were on the leash) . Annie is a lab, but she is a really smart, yet the most stubborn dog I have ever met. Yes Annie is so stubborn, she could put a mule to shame. My Mom has experienced pet loss of her own. To which she will flat out admit that it hurt her emotionally so much, that she’s not sure she could own another dog. For her to admit that speaks volumes on so many levels. My Mom knows I put my pets before myself. As well as how much it hurt each time I experienced a loss. Yet when she experienced this loss it really threw her for a loop. Its a hard blow to take. It’s not like a regular thing in life that knocks you down. Or hits you so hard it feels like all the air has been taken from you. It is a deeper hurt, a much harder blow to come back from. Or move forward from…..its like you are stuck unable to fix, something you know you can’t fix. Yet for me, the love a dog gives you/me is worth the heartache of the loss. Because it really shows the true measure of how much they mean to me. What you have written displays so beautifully, so clearly, what it means to have a dog or two in our lives. I am minded to turn your reply into a self-contained post.